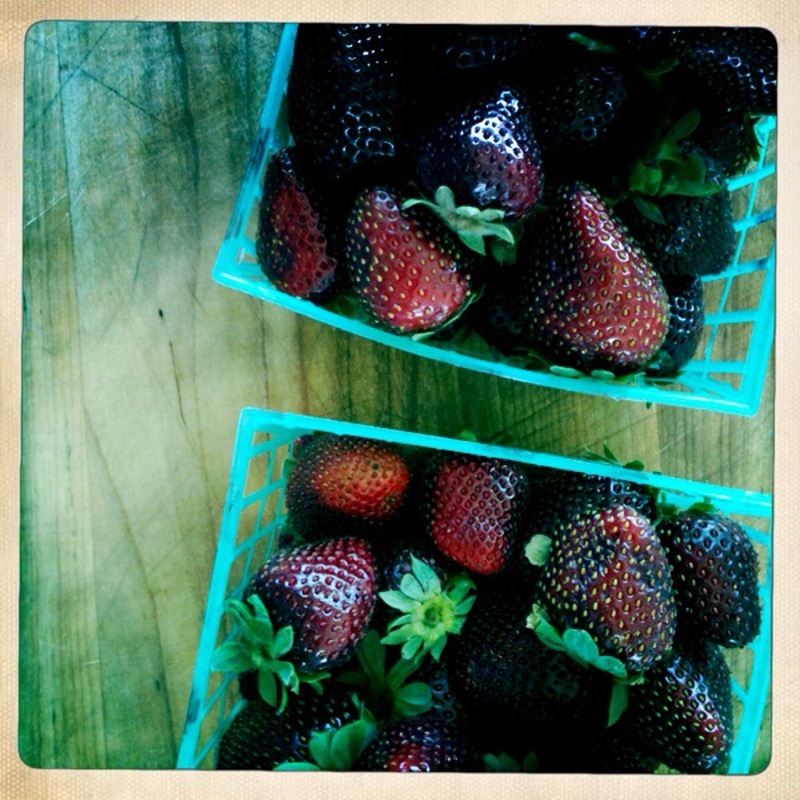 Delicious, red, ripe strawberries are all over the markets now and boy are they good! 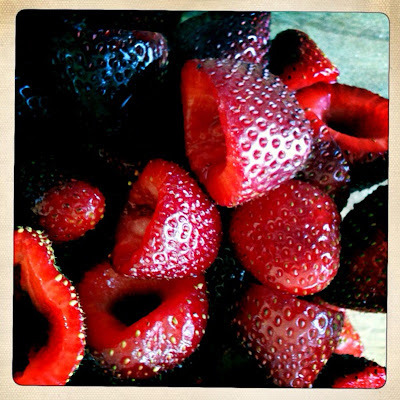 Sweet, juicy and sold on the side of any country road, they are the true sign that summer has arrived. If you find yourself with a few pints of sun-ripened strawberries, give this a shot for your next large group get together, (July 4th BBQ, anyone??). Semifreddo means half frozen in Italian, and this is a custard-like ice cream you can make easily with no need of an ice cream maker! It's very rich, very creamy, and almost meringue-like before it all goes into the freezer. 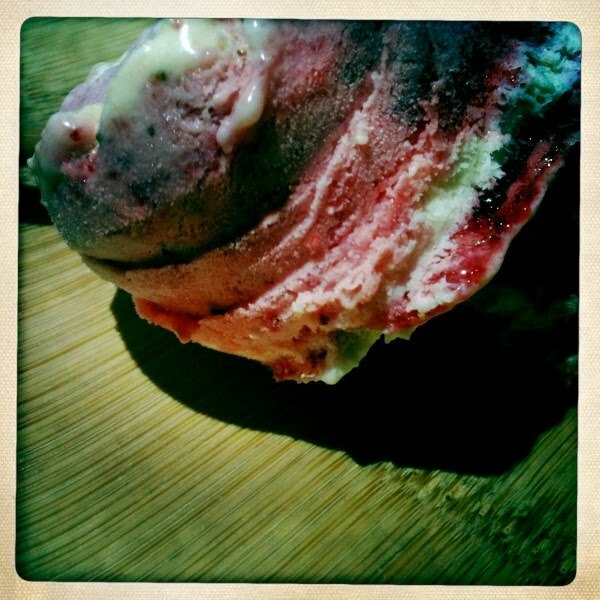 When the time comes to serve, allow to thaw out just a bit, as the frozen strawberry swirls freeze solidly, (I'm talking ice-hard), while the custard stays, soft and creamy and, well, half-frozen! 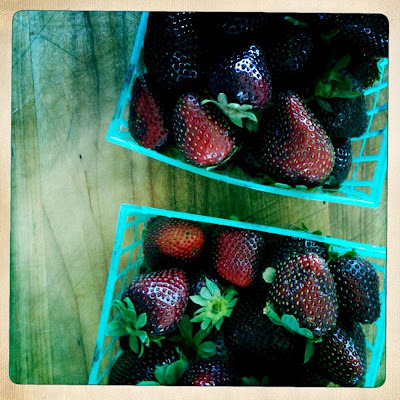 One note on using organic strawberries -- since these delicate, sweet berries are a favorite of pesky pests, they are one of the highest pesticide-ridden fruits. 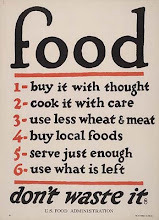 Therefore, I always buy organic when it comes to berries, if you can find them, I urge you do do the same. First, make the strawberry puree by placing the strawberries and sugar into a food processor and blend until smooth. Set aside. Place the eggs, extra yolks, vanilla and sugar in a heat-proof bowl over a sauce pan of simmering water. 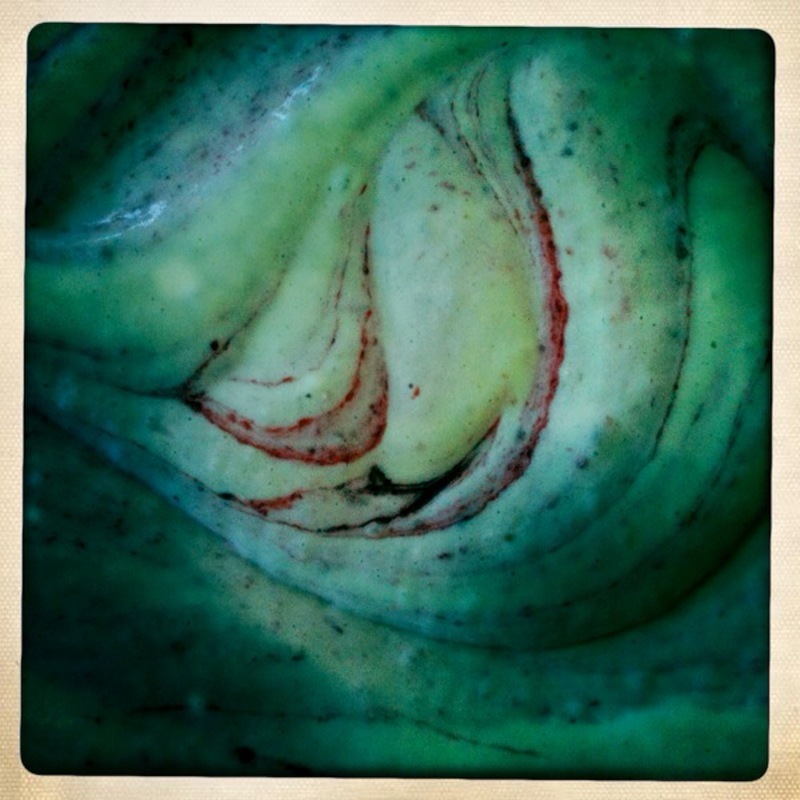 Using a hand-held mixer, beat for 6-8 minutes until thick and pale. Remove from heat and beat further for another 6-8 minutes, or until cool. 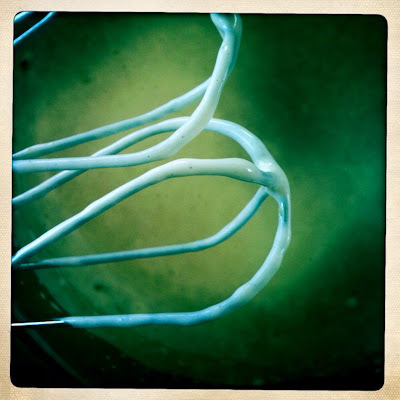 In a separate bowl, whip the whipping cream until stiff peaks form. Gently fold the cream through the egg mixture until well combined. Pour into a 9 x 11 pan, spoon the strawberry puree over the top and gently spoon in through the cream mixture for a swirled effect. Cover tightly and freeze for 6 hours or overnight. Top with summer berries to serve, and allow to defrost just a bit so that the berries and the custard can find one another in your bowl - or even better - yummy ice cream cone. * Castor sugar (superfine sugar) is sometimes a challenge to find. If you can't get a hold of it, no fear! Simply place regular sugar in a food processor and process until the sugar becomes ground into a fine grade. About 1 minute, pulsing from time to time. Sî! Sî! Mi piace! Voglio questo!